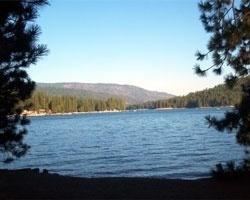 *Western Horizon Resorts* is a private RV membership camping system. They offer the best in private camping, with spectacular surroundings, spacious RV sites and scheduled activities to pique every interest. Whether it be bingo, crafts, casino night, golf, swimming, or strolling, you'll find many fun-filled adventures to enhance your vacations at Western Horizon Resorts! Members have enjoyed the warm, welcoming, small town atmosphere for more than 20 years. Full-time security and bright, immaculate bathrooms add to the feeling of comfort and security campers experience at the parks. With 25 resorts spread across nation, campers have the opportunity to explore local areas at their leisure or to participate in planned activities when they prefer to socialize. The staff is friendly and helpful, offering whatever assistance is needed and suggesting favorite events and locations that shouldn't be missed. 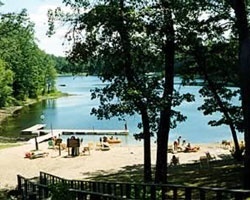 Amenities available to members at most of the private resorts include roomy sites with full hook-ups, clean, well-maintained swimming pools and bath houses, mini-golf, horseshoe pits, volleyball and basketball courts, playgrounds, fishing in on-site and nearby lakes, ponds, rivers, and streams, and cozy club houses for group gatherings. Fantastic family campgrounds membership, unlimited usage! Price negotiable.